Nobody has any time to wait – especially where leaky faucets are concerned! It’s annoying and it’s costly on the water bill! 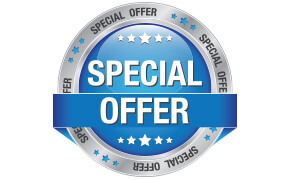 So don’t waste one more minute and one more drop of water waiting for next day services – 4Star Plumbing Services offers 24/7 emergency repair and replacement services all 365 days a year. We are your best choice for all things concerning plumbing in Deerfield Beach, Pompano Beach, Coconut Creek, Coral Springs, Pembroke Pines, and Plantation areas. Apart from our prompt response, we also take pride in the way we do things. We may come to you in haste, but we complete our services just quite the opposite. Our professional technicians don’t only take the time to talk to you about the problem, but more importantly to discuss the options we have for you. And that is how we got our A+ rating from the Better Business Bureau (BBB)! Don’t let a leaky faucet dampen the blissfulness of your household! 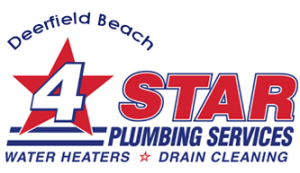 4Star Plumbing Services is your one stop shop for everything concerning your plumbing – from repairs to installation to maintenance, and even the tricky emergency replacements. We know plumbing better than anyone else in South Florida and we’d be more than happy to send you our team of professionals anytime any day! Our plumbing solutions services are also available for commercial areas. Call us today or fill out this online request form to schedule a visit!